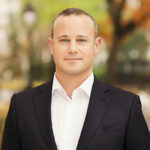 Consistently ranked among the top brokers in New York, Michael Rubin delivers results for buyers, sellers and investors. As co-founder of The Lewin Rubin Team, he closes each deal at its highest potential value, efficiently and accurately - the first time. A Licensed Real Broker, Michael has a New York Residential Specialist designation from REBNY and is a Certified Negotiation Expert. Michael currently lives in the Flatiron District, and when he's not hard at work, enjoys traveling, fishing, skiing and boxing.